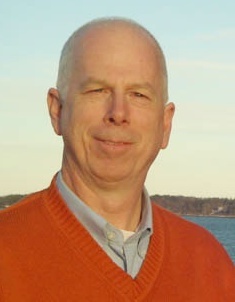 In just eight months, Reiki master Jeffrey Hotchkiss built a successful weekly Reiki clinic at an integrative medical office in Maine. Here’s how he did it. The patient’s words were loud enough to carry from the waiting room back to our Reiki clinic area, where they interrupted my self-treatment. Looking toward the waiting room, I saw an older man bracing his hands against the wall next to the receptionist’s window. He asked if his medical appointment could include a strong medication for his excruciating back pain. That kind of medication isn’t dispensed at the medical center, so the receptionist suggested a Reiki treatment. After hearing my brief explanation – “gentle touch, deeply relaxing, often helps with pain”– and watching me demonstrate light touch on my own arm, he agreed to a Reiki treatment before his appointment. Fifteen hands-on minutes later, his grimace had become a smile. Looking up from the reclining chair, he said the Reiki treatment gave more pain relief than his past medication, and he wanted to know more. A man with kidney failure and such painful neuropathy that his feet felt “on fire” asked for Reiki treatment. Afterwards, he seemed bemused as he commented how much better his feet felt. At the very least, patients finish their treatments with a smile. Many experience relief from pain, anxiety and tension, while others report help with headaches and sinus congestion. Clients commend us on our friendly, professional approach. Words such as “soothed,” “relaxed,” “calm,” and “peaceful” appear often in the written feedback. 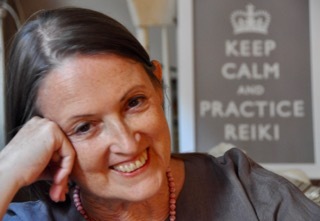 Many patients sign up for weekend Reiki trainings. The clinic is held every Friday afternoon, staffed by one to three practitioners, in the back office classroom area, with three reclining chairs, music, and a pleasant view of the countryside from the rear windows. Treatments are typically 15 minutes in a reclining chair. Patients at the medical center receive their first treatment free, and the public is offered a low introductory fee. We give a brief description of how their Reiki treatment will be given, and take their name and contact information. We summarize the feedback and make adjustments based on patient suggestions. After each clinic, I give the cover sheets with name and contact info to the office staff to scan them into the electronic patient records. I keep the anonymous feedback for later review. We are careful with patients’ privacy, and do not share names or identifying information with others outside the clinic or office. I was invited to start the clinic after several months renting space to teach Reiki classes, and reached out to trusted local Reiki practitioners to join me. For the first few months, we struggled to attract attendance, then hit our stride. Connecting with staff has contributed the most to growing the clinic. I offered to visit one of the nurse practitioners (NP) at the end of a patient appointment, and demonstrated a 5-minute chair Reiki treatment on the patient while the NP observed. The NP started bringing patients to the clinic the following week, and passing the word to her colleagues. I learned that two NPs and one medical doctor already had Reiki training. They wanted to practice Reiki with patients, but lacked hands-on experience. I knew that building staff skills would raise awareness of the Reiki clinic, so I designed a paid, 3-hour continuing education workshop that built on the staff’s previous training. Staff practiced self-treatment and chair treatments on each other, and we discussed informed consent and how to document Reiki treatment in patient charts. Staff gained confidence in their Reiki practice, and as anticipated, their subsequent referrals increased clinic attendance. The next most effective success factor was the CEO’s decision to subsidize patients’ initial visit. All patients’ first Reiki clinic visit is free, and the office pays the Reiki practitioner $5. We put signs and flyers out in the waiting room, and speak to the patients waiting there about the clinic. That has been very effective; perhaps one-third of those patients stop by the clinic after their medical appointment for their free introductory treatment. We now have steady attendance at our Reiki clinic. Several factors have contributed to our success: brief, straightforward treatment descriptions; a simple process; easy pricing; capturing patient feedback; and the support and persistence of all involved. Connecting with the medical staff, thus gaining their awareness and support, was pivotal, and paved the way for true integration of the Reiki clinic into patient services. If you want to speak to doctors about Reiki practice, it is important to use language that is meaningful to them and to present reasonably, without making claims. The Introduction to Medical Reiki recorded webinar teaches you how. Hi, Pam, thank you for your comment and questions. The clinic is at a medical office, not at a hospital. After the introductory session, we offer half hour for $25, and an hour to an hour and a half for $75. The longer sessions are on a massage table. 15 minutes seems to work well for the initial session — most often it comes at the end of a medical appointment, making time a factor for patients, and we also are pleased with how people are feeling after 15 minutes of Reiki. That being said, your question prompts me to think that some patients might go for the half hour session the first time — we’ll think about how to present that, with thanks to you! Thank you for these additional details, Jeffrey. A 15-minute introductory chair session is a great idea, not as intimidating, perhaps, as a full table session. Is this clinic at a medical center (hospital) or a medical office? 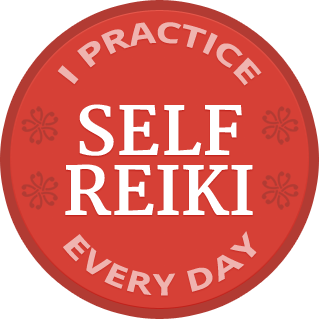 What is the charge for a Reiki session after the first introductory session? I think I would want to make longer, table sessions another option. I guess I actually have a third question: Why are the sessions so short? Pam, it is a medical center in the sense that there are various types of health care practitioners and care approaches offered, rather than being an office with only medical doctors. Not all medical centers are hospitals. I’m loving this idea, so I just wanted to make sure I was understanding. Thank you for this post. I had just finished a self Reiki, (I have yet to make this a daily practice). I recently retired from my nursing career. I have been “called” to a Reiki practice for others, of some type, and for some time. During this morning’s self practice, I was nudged again. Then this article. I received Level 2 attunement a few years ago. I have never been in the category of a self starter, and now I plan to self practice daily as a starting point. I am affirming, I am divinely guided and supported in sharing Reiki.